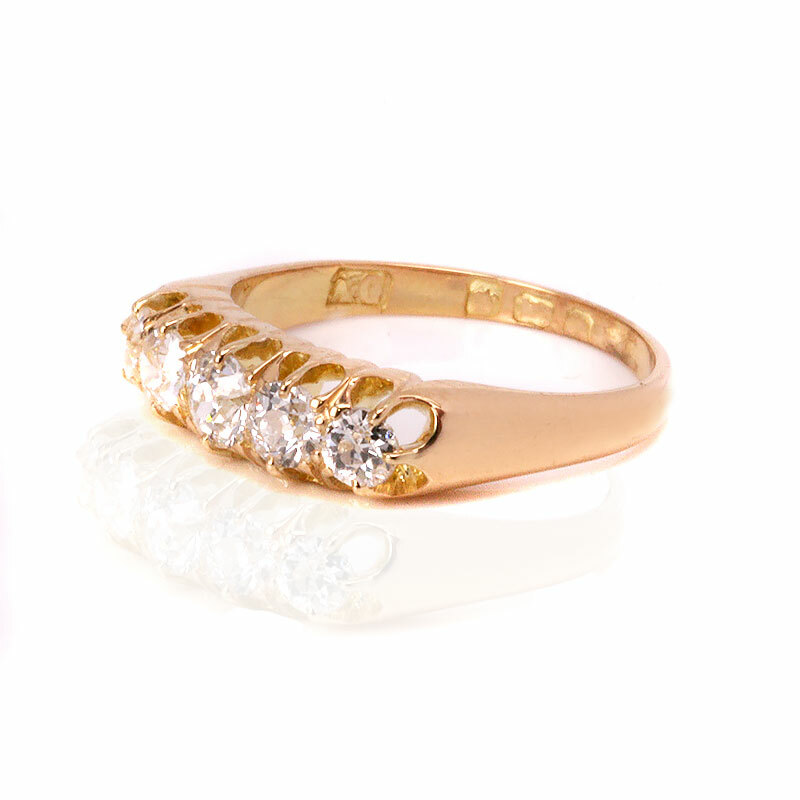 Product code: ES7806 Categories: Antique, Antique Engagement Rings, Antique Rings. There is something so special about wearing a genuine antique diamond engagement ring on your finger, and this antique diamond engagement ring set with European cut diamonds is just so attractive and beautiful. 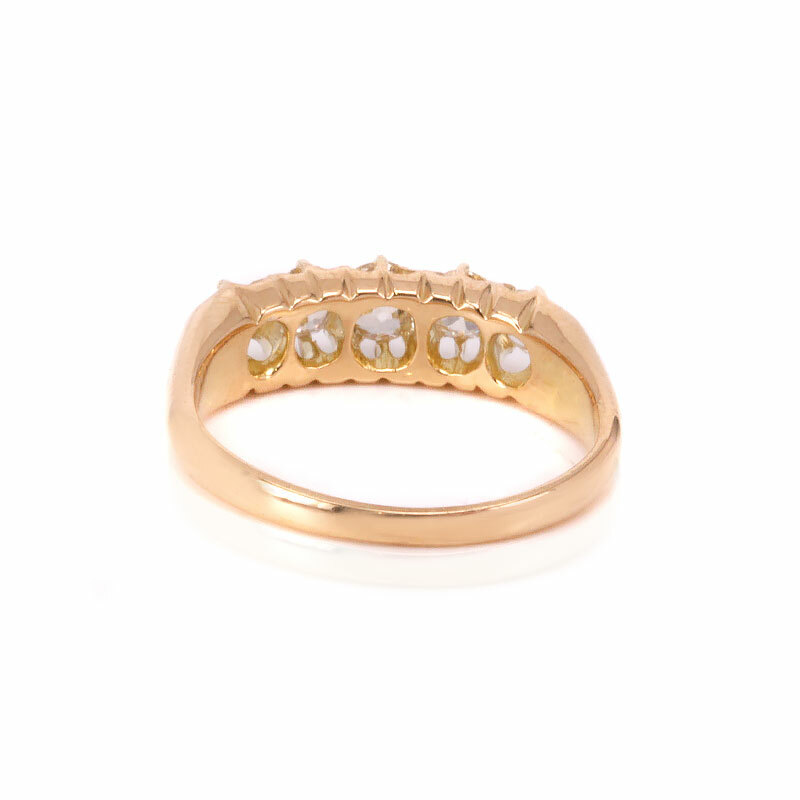 Hand made in 18ct yellow gold in the early 1900’s, the ring is set with five antique antique European cut diamonds that total 0.90 carats and are G in colour and Vs/Si in clarity and have such a wonderful sparkle to them all. Measuring 5.1mm wide at the centre by 17.5mm across, on its own or along side a wedding band, this traditional design looks as elegant and beautiful today as when it was hand made over 100 years ago. There is something so special about antique rings, and even more special about antique engagement rings such as this one here. This antique diamond engagement ring dates from the early 1900’s and is set with antique European cut diamonds. Completely hand made, this diamond engagement ring will sit perfectly next to a wedding ring.